Remember Clippy, that smug-looking ‘office assistant’ from the old Microsoft Word, so bad it featured in Time’s 50 Worst Inventions of All Time? Or SmarterChild, equal parts friendly and creepy, a stalwart of millions of instant messaging contact lists in the ’90s and early 2000s? Few would have thought this nightmare could spawn into a burgeoning industry 20 years later, but it’s 2017 and here we are. The first chatbot actually predates its word-processing and instant-messaging grandchildren; the earliest example appeared in 1966 by the name of ELIZA, created by computer scientist Weizenbaum. It used basic natural language processing to emulate a psychotherapist. While ELIZA managed to pass the Turing Test, it couldn’t contextualise events so feigned understanding, operating from a limited script in its interactions. ELIZA did not live out the 1960s, but would remain a milestone and reference point for natural language processing programmes for the rest of the century. Next in line has to be the bots emerging around 1988, when IRC (Internet Relay Chat) started. These early chat rooms had their own bots dedicated to making sure there was always activity in the chat, no matter how clunkily automated, so that the server didn’t close down due to inactivity. These bots were the direct descendants of those pioneering, Turing Test passing, bots and certainly paved the way for the AI boom we’re experiencing today. So, it’s fair to say that since these early innovations, chatbots have undergone a huge evolution from the nascent technology to the sophistication of today. From consumer-focused Siri, Alexa and Cortana, to the chatbots popping up across the professional world, they’re increasingly becoming a part of both our personal and professional lives, changing the way we live and work. ChatOps is a term mostly credited to GitHub, which defines it as, “A collaboration model that helps to connect people, process, tools, and automation into a transparent workflow.” So it basically means using communication — and tech tools to support communication like real-time messaging platforms and chatbots — to make your workflows and operations run more efficiently. Deployed in the right way, ChatOps can boost information sharing, communication transparency, as well as collaboration and cross-training. Businesses creating chatbots to engage with their consumers is something most of us have heard of, and even used, whether knowingly or otherwise. However, the chatbots I’m talking about in ChatOps are the ones that that support communication within a company, or between one company and another. For example, if your business has bought a product or service and you need to query something, then rather than having to contact that business’ customer care team for support and advice, you could integrate their chatbot into your messaging platform. This can save time, effort and often a lot of bureaucracy, in getting answers and advice about simple or commonplace questions. But integrating chatbots into your workflows and communications doesn’t have to be an effort on your part: it can, and should be, a key part of the chatbot’s “personality” to fit naturally into human conversations. The chatbots that add the most value to your workplace are helpful and engaged, or as much as they can be for a computer program. They help you get the most out of that business or product because they’re programmed to flag issues, give reminders, or send analysis or reports. They become an embedded part of the product or service and how its customers use it. At Red Sift we’ve been trialling this approach in 2017, and the feedback we’ve had from customers has been really encouraging. For example, our OnDMARC product is designed to help companies simply and easily deploy DMARC, the email authentication protocol, so that they can protect their organisation from unauthorised use of their email domain and boost email deliverability. But we know that for some people implementing it on their own can seem like a minefield, so we developed our own Slackbot to help guide people along. 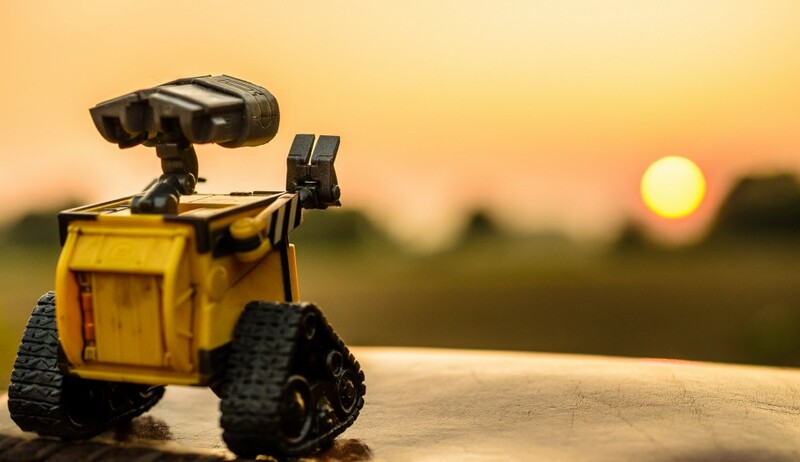 Our little bot makes a proactive addition to your securing your email: it provides a step by step guide to securing your domain, shares ongoing reports of weaknesses in your security configuration, and flags action points you can make to fix issues. It’s proven so useful we’ve really grown quite fond of the little guy. Of course, ChatOps success looks slightly different for every business and it will take time for teams and companies to find out how to make ChatOps work to best advantage and make sure everyone is on board. doubt that in the right contextChatOps can fundamentally change how products and services are delivered, how people work together and how workplaces are run, and a big part of this change can come from those little chatty bots. What’s the one platform, tool, or bot you couldn’t live without at work? Let us in on your secrets in the responses below, or on Twitter @getOnDMARC. Previous Post What’s next for tech? Next Post Are you helping email scammers to have their best ever year?